Genre: What is it and WHY do I have to choose one!? 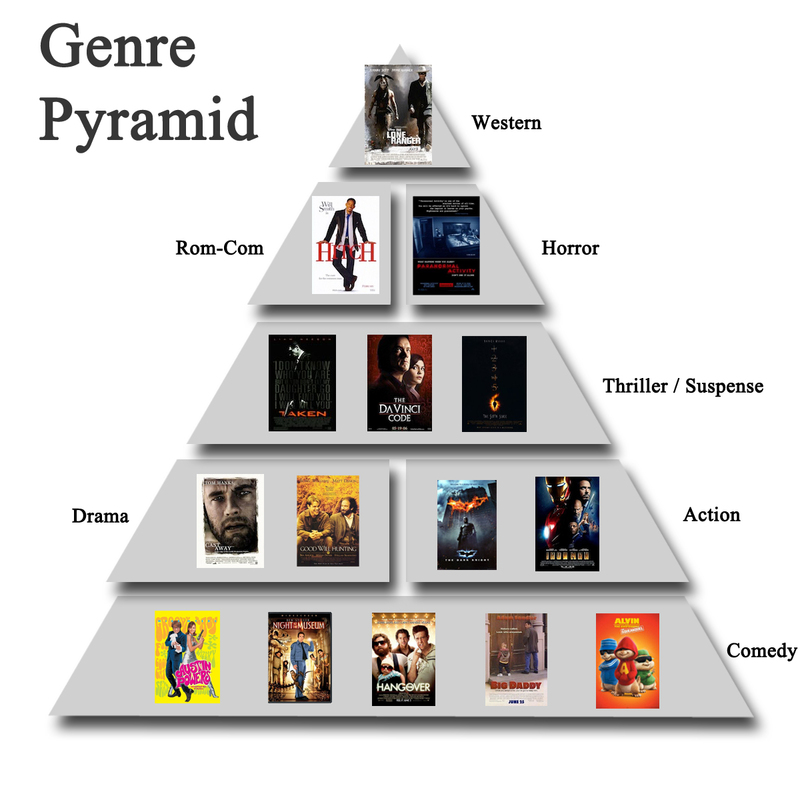 We’re going to look at: What is Genre? What are the genre categories? Why is it important? Genre is a way of organizing and categorizing. It’s the flavor of it. Remember the food guide pyramid? Fruits and veggies, meats, dairy, sweets, etc? These are the genres of the food world. In food, they’re helpful because they allow you to know what you’re getting. Same goes for film and tv. You want to know what you’re watching before you watch it. If you’re in the mood for watching a comedy and want to laugh, sitting down to Schindler’s List is not going to deliver that for you. What are the genre categories? There are more. And sub-genres, to help further categorize each. Take a look at IMDb’s list. Another resource I find helpful is Box Office Mojo’s list. I like this one because it tells what the winners of the categories are, and how many of each there are. I don’t think it’s crucial for you to know every single genre and narrow yours down to the exact genus-species, but at least know the parent category of the project you’re making. Why is picking a genre important? 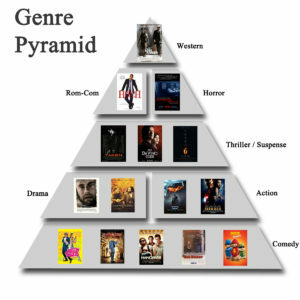 GENRE WILL HELP YOU SELL YOUR FILM, meaning that picking your genre (and picking it appropriately) will help get you paid. Why? To answer this, I find it best to look at it from the perspective of the distributors. Distributors are the ones that are going to be buying your film (or the rights to distribute it). Distributors are people just like you and me. They have a job to do, and they want to make money, just like you and me. Distributors will look at trends of content that people watch. If more HORROR is being watched than DRAMA, it means they can probably sell a horror film faster than a drama film. Also, this makes a difference on where your film can get sold. Comedy in the United States is different than in other countries. So if you make a comedy film, it means that a distributor can’t sell it in as many places for you. Comedy, Faith, and Western genres don’t typically do as well overseas. Action, Thriller, and Horror typically do well overseas as well as domestically. If you’ve made a film that doesn’t fit into a genre category, a distributor has no idea how it will sell. Which means they are going to have to risk their time and money to see if people like it. Bad idea. And if you have a film that is spread out across too many genres, it probably means it’s not good in any of them! Remember the food pyramid analogy? If you’re really hungry for a steak and someone brings you a dessert with bacon bits crumbled on top of it, you’re not going to be satisfied. Don’t leave the audience dissatisfied! Play to genre – If you’re making a horror movie, you better make sure it scares the crap out of people! That’s what they want. Comedy? Make them pee their pants laughing. Action? Does it have a sweet car chase or fight scene? Romance? Make me want to marry you by the end. You get it. Know the genre of your project. © 2019 The Industry Workshops.